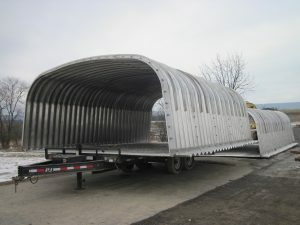 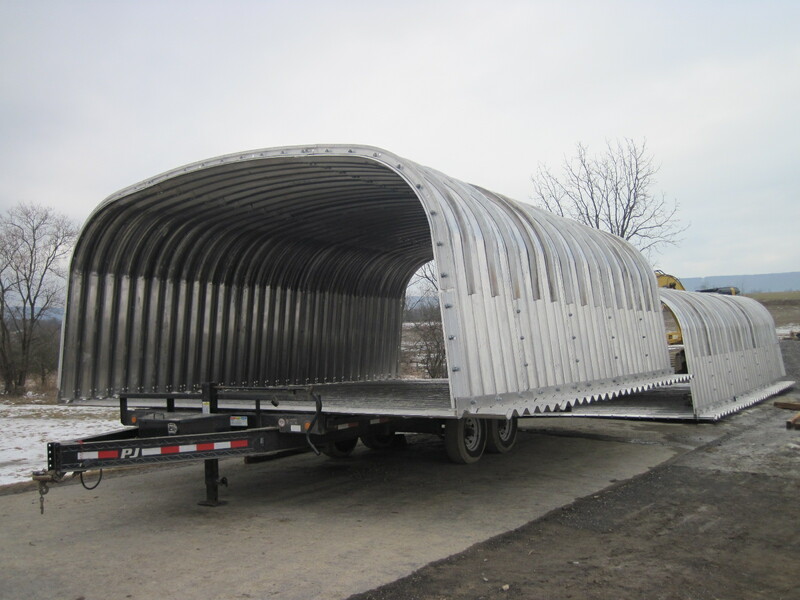 The contractor, CriLon Corporation, assembled the aluminum box culvert in two sections on the roadway. 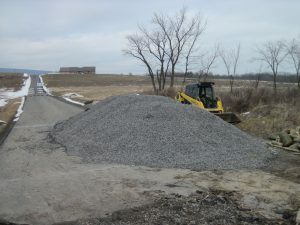 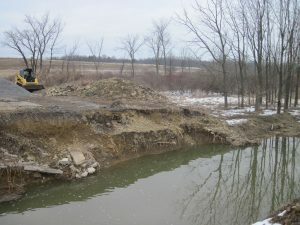 The stone bed in the stream will be prepared next so that the culvert can be placed in the channel. 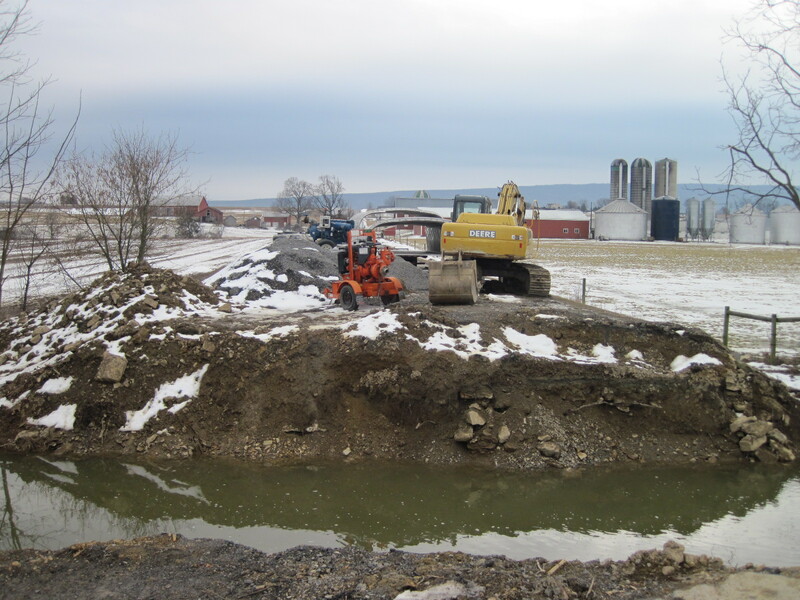 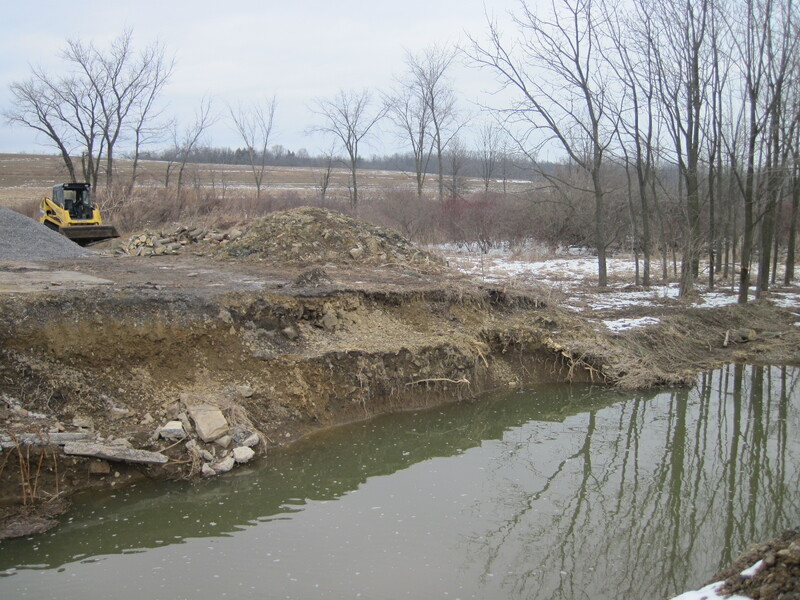 The toewalls, headwalls and wingwalls will be installed once the culvert is placed in the stream. 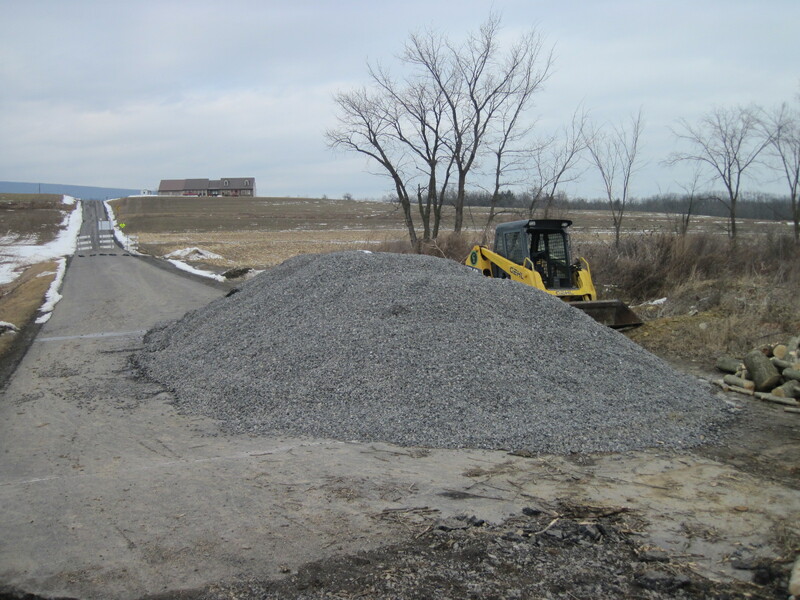 Backfill and compaction will then take place so that the roadway may be reopened.